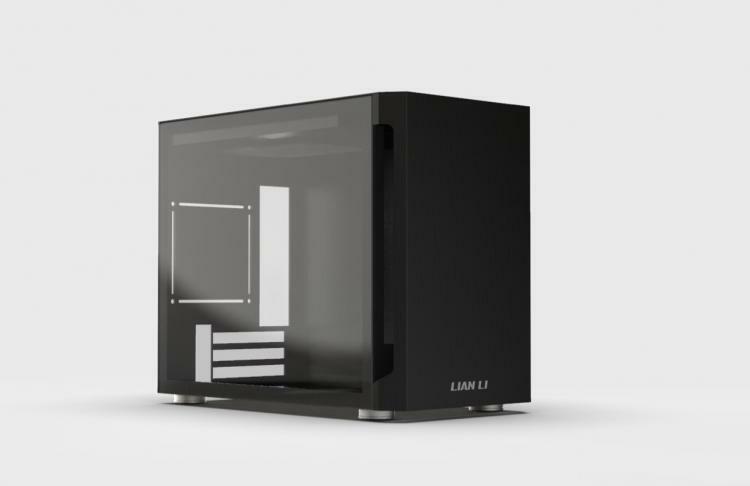 Lian Li revived the LANCOOL brand into a product line late last year starting with the LANCOOL ONE chassis. 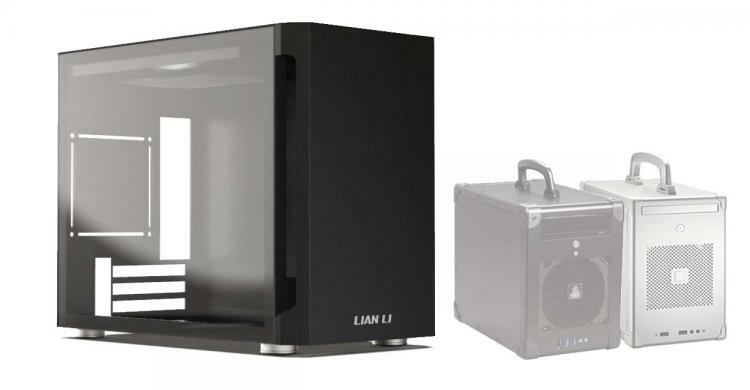 Lian Li teased its next addition to its LANCOOL line-up of gaming cases – the LANCOOL TU150 SFX chassis. The LANCOOL TU150 is a small-form-factor chassis or mini tower that’s designed for mini-ITX motherboards, SFX power supplies, and other compact hardware components. The LANCOOL TU150 gets iconic case handle like the old Lian Li PC-TU100B and Lian Li PC-TU200B cases from several years ago. The TU150 gets a stealthier handle design that can be pulled out when needed and tucked in when in use. Like most of Lian Li’s aluminium cases, the LANCOOL TU150 also gets the premium feel of a brush aluminium finish, a highlight on the TU150’s outer top panel which includes the sturdy handle. The Lian Li LANCOOL TU150 sports thick and solid aluminium panels inside and out. The rear panel features precision CNC-machined cut-outs for the PCIe expansion slots and motherboard rear I/O. The Lian Li LANCOOL TU150 also packs a tempered glass side panel for a clear view of the interior which is aesthetically pleasing. 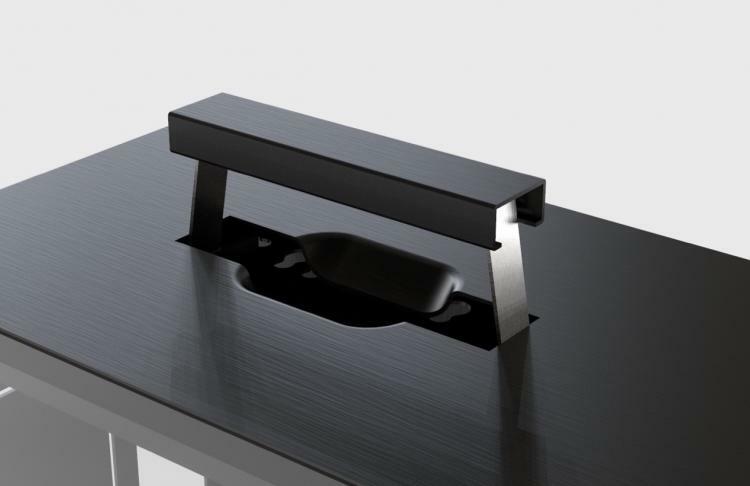 The chassis also comes with chrome case feet to complete the premium looks of the TU150. The LANCOOL TU150 chassis sports two USB 3.1 Type-A ports on the front panel I/O for high-speed data connectivity with your system. 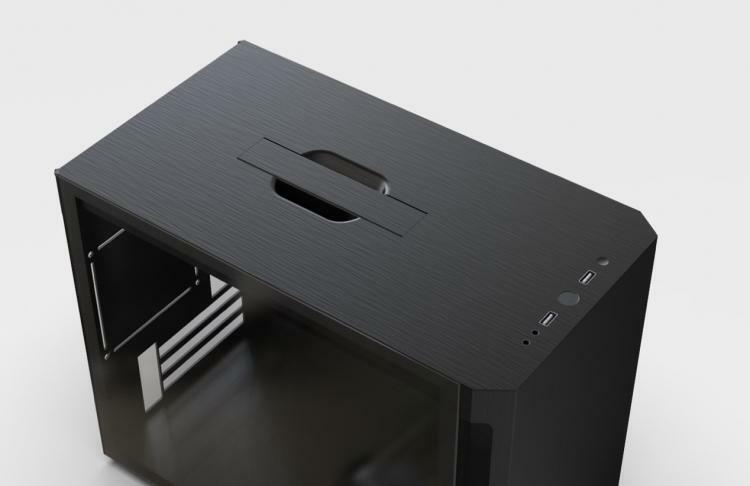 The LANCOOL TU150 chassis is a mini tower but can support a full-sized graphics card. It can house air coolers of up to 175mm tall. As for cooling, the TU150 can house two 120mm cooling fans. The Lian Li LANCOOL TU150 SFX chassis is expected to be released in Q2 2019 with an MSRP of $99 USD.